Dadaism and Surrealism were art eras during which traditional ideas about art were challenged. However, the artwork artists generated during these movements was still considered representational art. You could see what the art was and what materials were used. Many artists used random objects and recyclables. When abstract expressionism followed, it challenged traditional methods and techniques of art-making. The artists descibed as abstract expressionists seemed to be more free, and the art they created wasn’t always representational. In fact, many abstract paintings looked nothing like their titles. One of the better known types of abstract painting is a method that uses the whole body to paint. 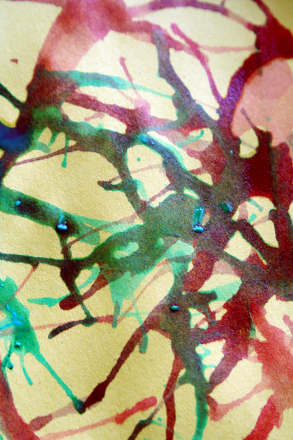 Introduce your preschooler to abstract art with this activity that will have her splatter, drip, and drizzle to create a complex painting. This activity is the perfect way to engage your kinesthetic learner and spark her interest in art history! Explain to your preschooler that throughout history, there have been many different movements and styles of painting that were popular. Discuss how Dadism and Surrealism were uniquely radical and how these two movements led to Abstract Expressionism. A good way to start the discussion is by showing your child some samples of artwork from these eras. As she looks at the art samples, have her express her opinions on the artwork. 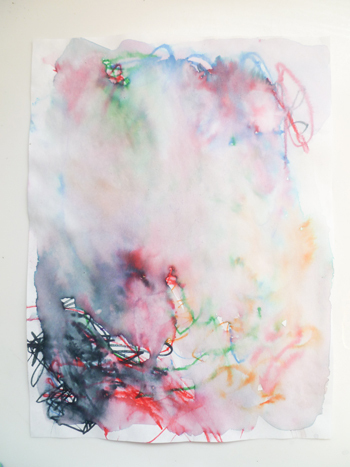 Then discuss how she will be making an abstract piece of artwork that involves applying paint by splattering and using various body movements to create unexpected designs on the canvas. Lay the canvas on the floor. 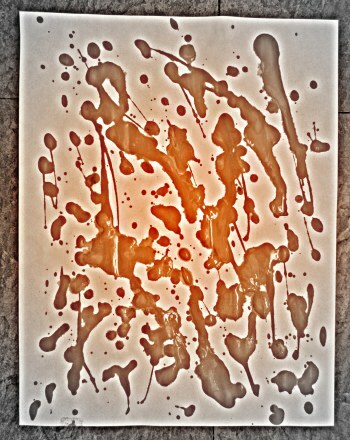 Have her stand over the canvas and apply paint by splattering, dripping, and drizzling paint on it. 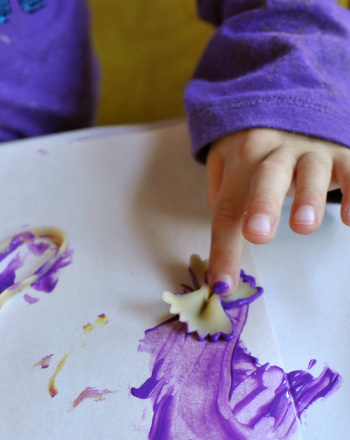 Go over how in order to apply paint, she doesn’t have to actually touch the canvas with the paintbrush, spoon, or popsicle sticks. Encourage her to experiment with her body movements. Is she able to get more paint on the canvas if she stands over it and flings the paint? How about if she squats down closer to the canvas? 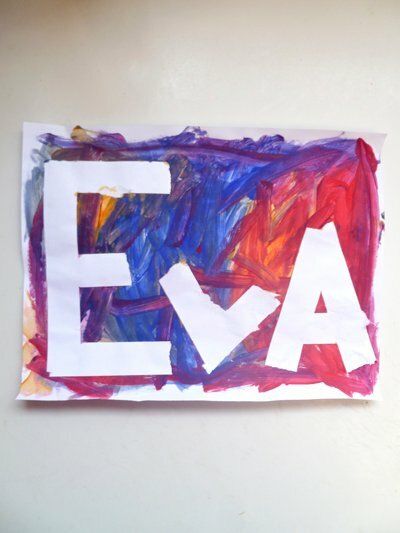 Ask her to tell you more about her painting and what she thinks about the abstract art she's creating. Helpful Tip: This method is very fun, but very messy. Remember to provide an appropriate work area so there's no need to impose limitations. 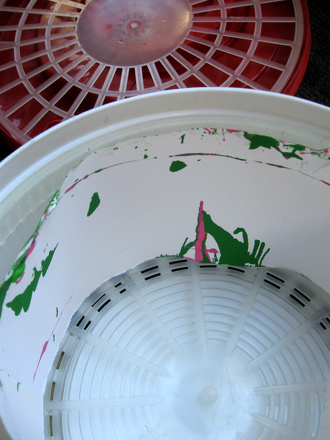 Put a spin on your child's old routine with this salad spinner painting project. 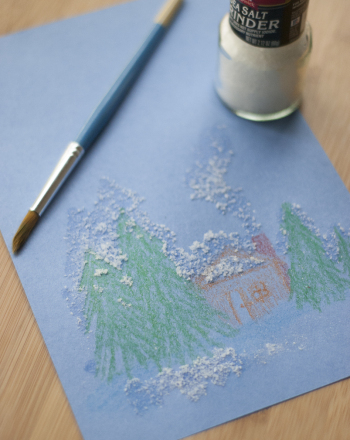 If using regular watercolors is getting a little dry, liven things up by using salt to create a beautiful painting with unique crystal texture! 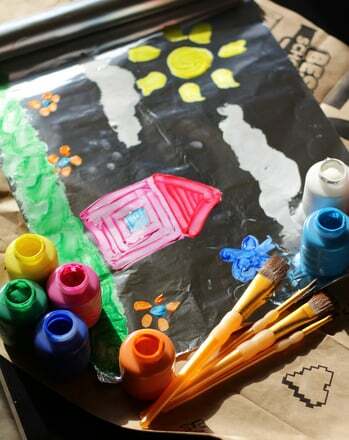 Let your kid have fun painting by blowing the paint around on the paper rather than using a paintbrush. 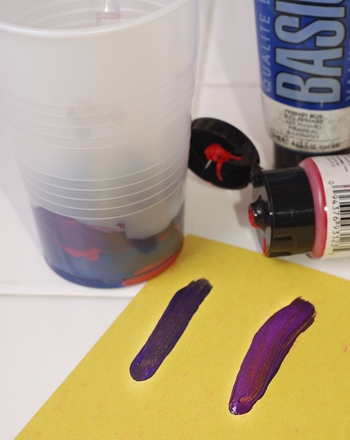 The result will be a fabulously abstract piece of art! 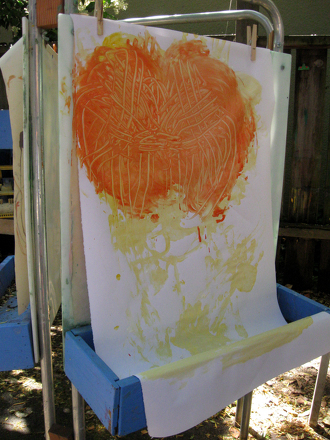 Kids get innovative as they mix their own colors then make a painting with the new shades of color they've created. 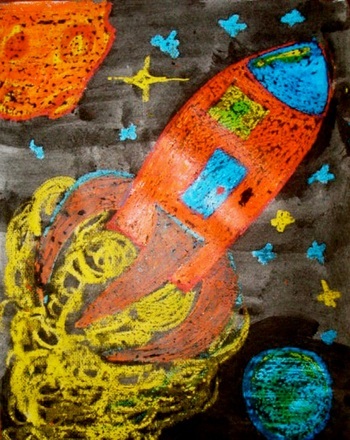 Show your child the solar system and let him explore the stars and space by creating a painting. 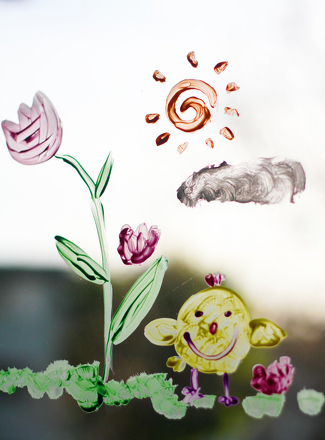 It's a fun and easy way capture your child's imagination. 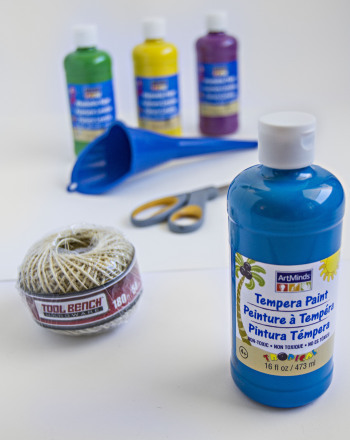 Turn your childâs love of markers into a really colorful creation with the help of some water and a big brush.